Blankets on airlines are hard to come by these days – and they're not always washed between flights. If you tend to get cold on planes, or you're going to be flying overnight, pack your own blanket to stay comfortable. « 10 Great Easter Appetizers! Great ideas Sharon!! 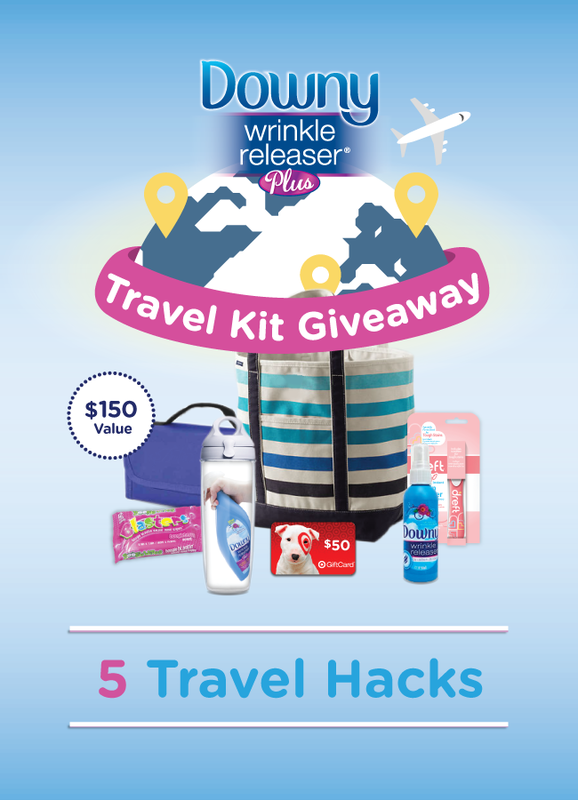 I’ll be picking up some Downey Wrinkle Releaser for my next trip!!! I also love the water bottle idea because then we will have them to use on the beach too!! Thank you!